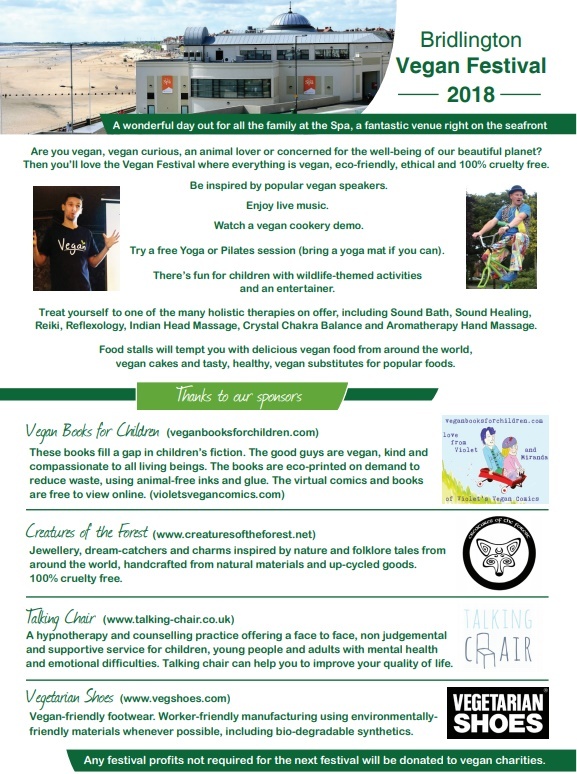 is on Sunday 5th August between 10.30am and 5pm on the beautiful East Yorkshire coast. 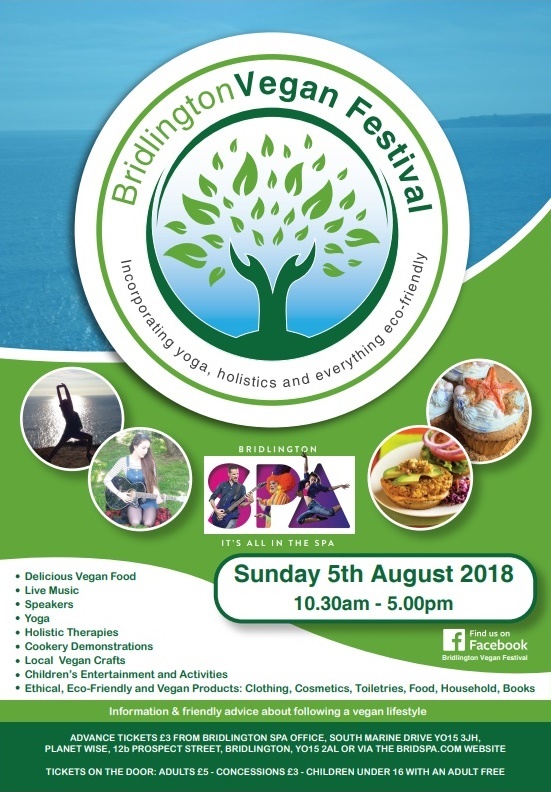 There will be delicious vegan food, live music, speakers, yoga, holistic therapies, cookery demonstrations, local vegan crafts, children’s entertainment and activities, and ethical, eco-friendly and vegan products for sale (ie clothing, cosmetics, toiletries, food, household items and books). Tickets on the door: adults £5, concessions £3, children under 16 with an adult – free.